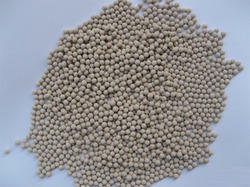 Manufacturer of a wide range of products which include molecular sieves 13 x, molecular sieves 4 a, molecular sieves 5a, molecular sieves 3a and carbon molecular sieves. 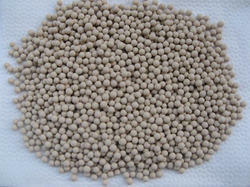 Product Introduction: 13 X type molecular sieve used for household/medical oxygen-rich system is Mingmei’s new product; it has higher oxygen purity, faster speed, and longer using life. Application: Medical oxygen-rich system. Oxygen Gas plant.N2 removal in air. 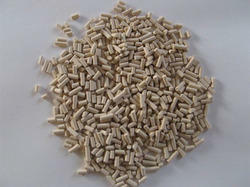 Product Introduction: Molecular Sieve 4A is suitable for the drying of gases (e. g: natural gas, petrol gas) and liquids, with an aperture of about 4 angstroms. 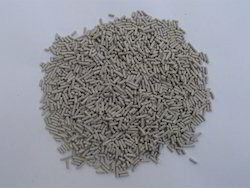 Nitrogen Generation Carbon Molecular Sieves (CMS) are the crucial element of any PSA-Plant for the Generation of Nitrogen. The PSA process provides an in-house, independent Nitrogen supply at low cost for inert zing storage tanks, pipelines and tankers, for processing and storing perishable foods and beverages, for heat treatment of metals, for processing plastics and fibers, in microchip production and many other applications. CarboTech / Kuraray CMS are the result of the intensive R&D efforts and the combined experience of our well trained staff in many years of CMS production Our optimized process and rigorous quality control enables us to produce superior CMS of high efficiency at an attractive price/performance level. The characteristics of CMS are unique. It is highly resilient towards long term usage in pressure swing apparatus. Moreover, the excellent auto regeneration characteristic of the sieve leads to any years of high quality Nitrogen Production. The PSA-plant. Carbo-Tech / Kuraray CMS is a safe and long term investment.